This binocular provides a wide field of view, stable magnification and HD optics that deliver 98% peak light transmission. 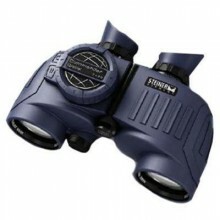 The illuminated digital compass makes this binocular your worldwide companion. Other features include the innovative NANO protection, durable NBR-Long Life rubber armoring, a guarantee to be waterproof down to 10 meters. Click the button below to add the Steiner 7X50 Commander XP Global to your wish list.